My Fair Vanity: 7 Reasons You Should Never Miss a Local Festival, or, Happy Belated Adams Morgan Day! 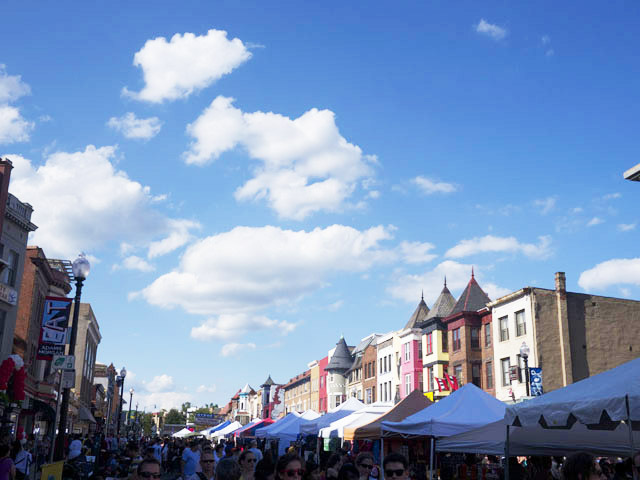 7 Reasons You Should Never Miss a Local Festival, or, Happy Belated Adams Morgan Day! It's nice to walk around outside. 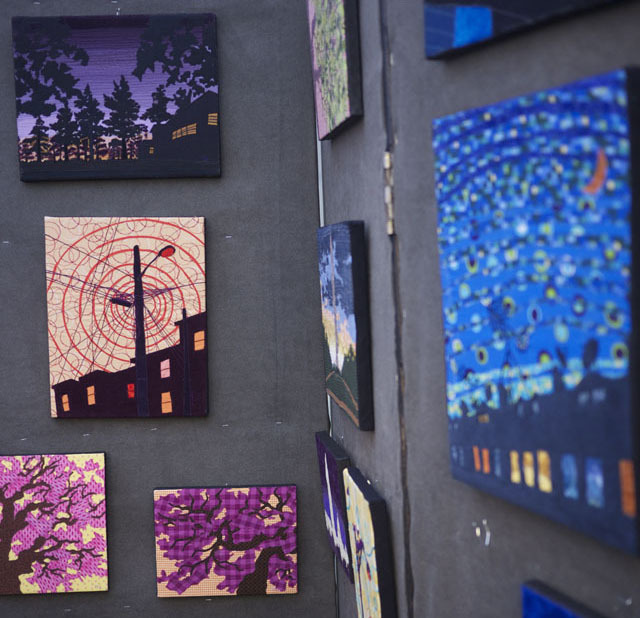 You can buy a painting of your pretty city made by a member of your pretty city. Some local artisans do not have web sites. You have to go to their physical stores or their booths to look at, try on and buy their cool stuff. 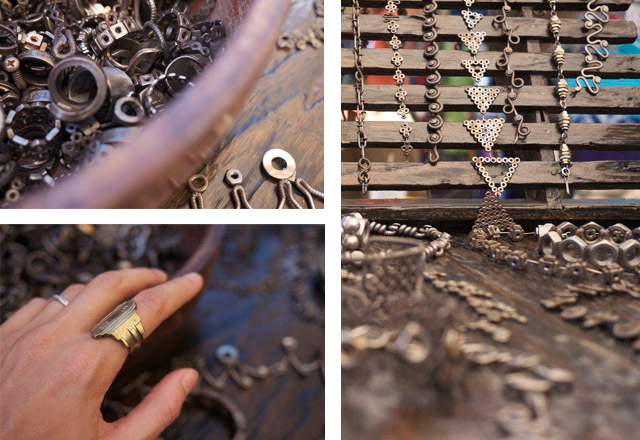 For example, I got a ring made out of a key, but I can't give you a link showing how to buy it. 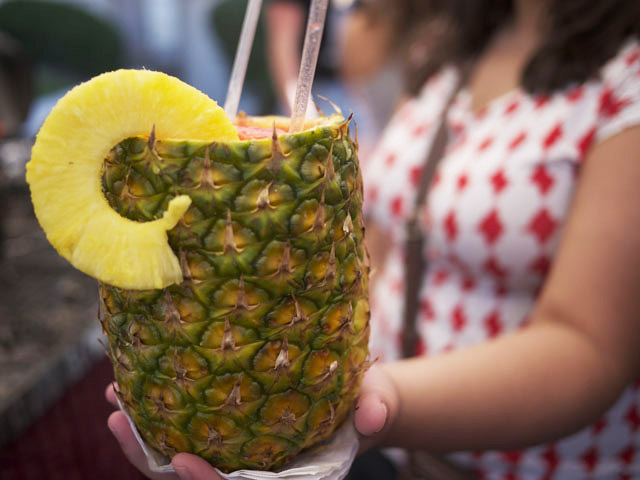 Kettle corn, cotton candy, and drink containers made of large, tropical fruits. 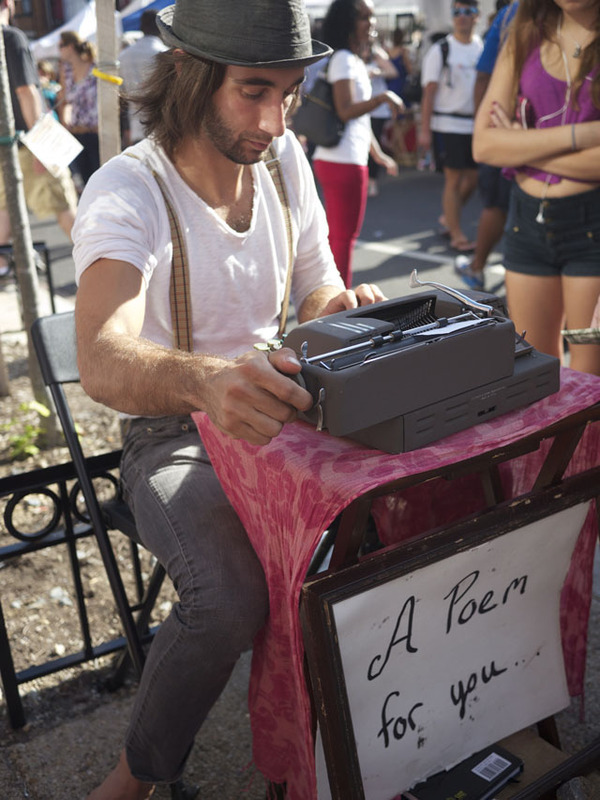 An enterprising young man could write you a poem on his typewriter if you give him a few dollars. In your city, someone may juggle, or eat fire, or sing you a song. Just like that! 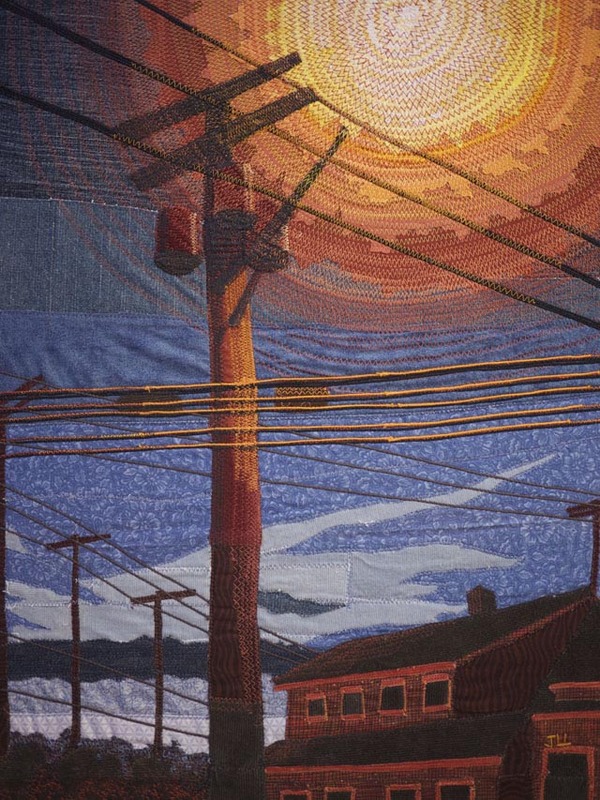 You might see a beautiful painting that inspires you to take up needlepoint. 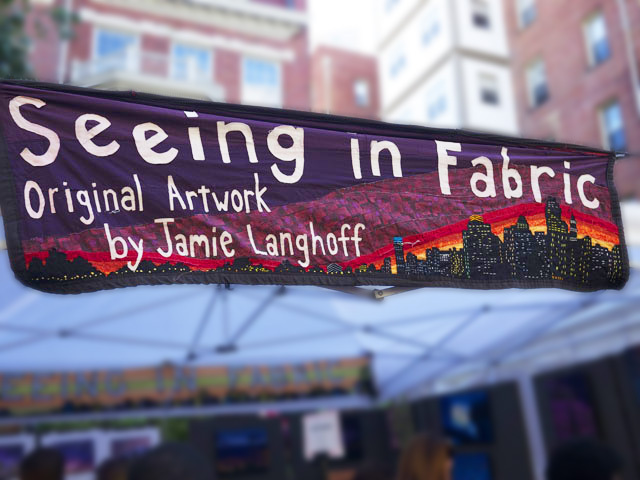 Ms. Jaime Langhoff's artwork blew my mind and lucky for you, dear reader, she is on Etsy...and she upcycles! You are a lovely person and many people would like to meet you. Go forth, shop local and be Fair. 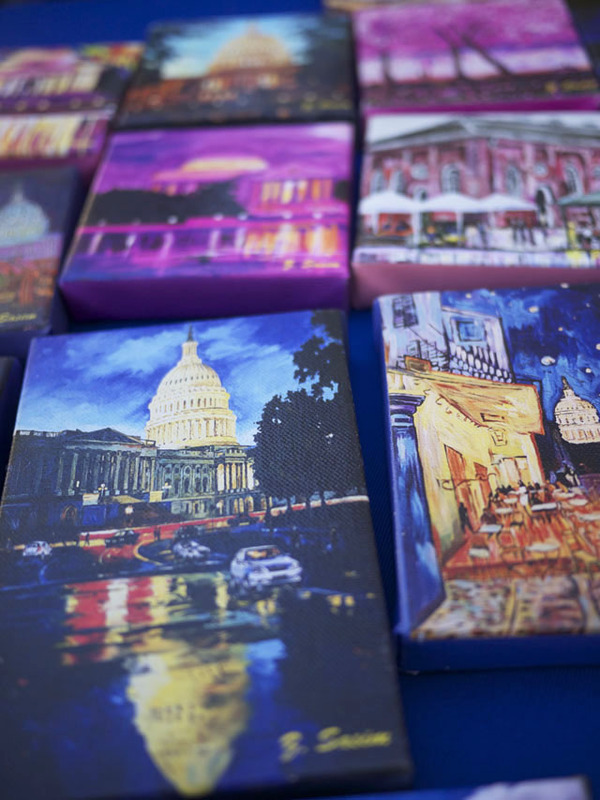 I love all the festivals in DC this time of year -- see you at H St Festival tomorrow maybe! Cool! And happy birthday to Kristen :) I can't make it to the H street festival, but your comment gave me an idea...might have to update this post! Thanks for stopping by! What kind of camera do you use? Your photos are amazing! Well thanks! Lumix GH2, but sometimes my iphone. These are all with the Lumix.